So, with one week of university left i've finished my Final Major Project at laast. 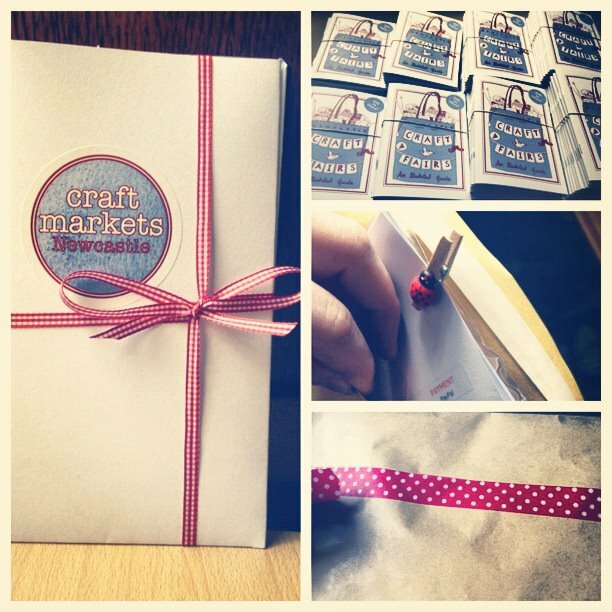 It evolved quite a lot from the initial proposal, but here it is, 'Craft Markets Newcastle: an illustrated guide". It is a listings guide to craft markets and vintage fairs in Newcastle. Simple! If you're not in the area on those dates you can buy one online at www.newcastlecraftmarkets.co.uk and you will get a lovely sleek, illustrated-by-me guide in the post. It's first class postage, too. No skimping here people. Thank you to everyone who has already bought a copy! Also, thanks for all the lovely feedback. It's all muchly appreciated.